Planning a trip to London and want to brush up on your knowledge of urban squares and crescents? 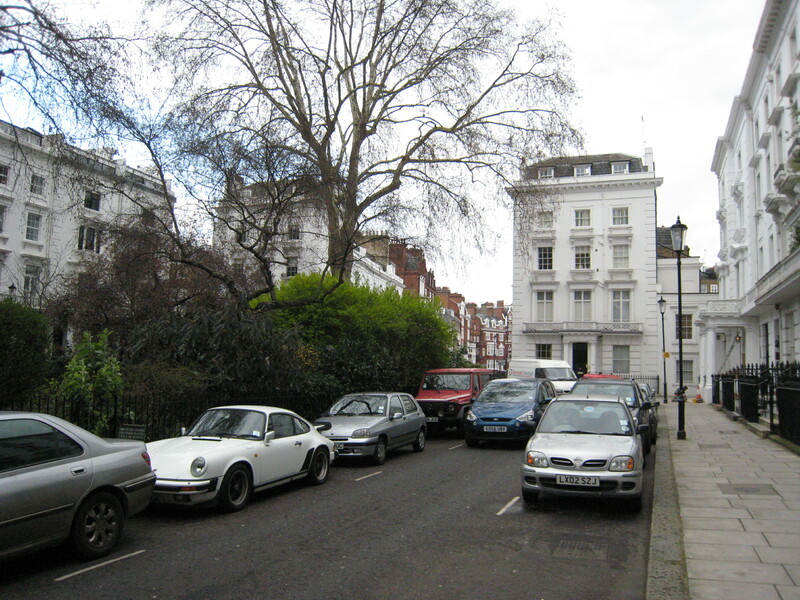 This site is dedicated to making accessible urban design information about that wonderful area of London called Belgravia and Kensington. The structure of the site is “page” oriented, so that each square covered has its own page of information. Please feel free to comment on any square and share your thoughts. Much of the material gathered was stimulated by participation in the Knight Foundation’s Fellows Program in Community Building at the University of Miami School of Architecture led by Chuck Bohl and Elizabeth Plater-Zyberk as well as practical encouragement to complete the work from urban designer, Stefanos Polyzoides. Allyson Eller was an invaluable help for scanning various photos, sketches and maps. Measurements were done using several methods. Most horizontal and vertical dimensions were derived by employing a sophisticated laser made by Leica – the DISTO Classic A. This device is quite accurate on distances no greater than 300 feet. 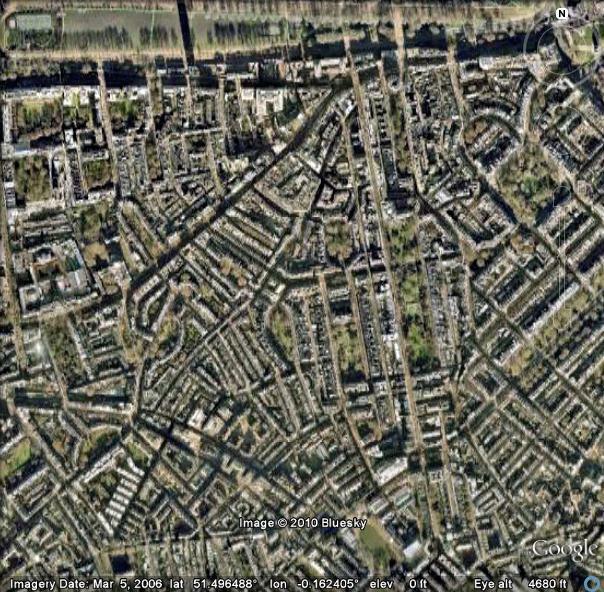 For larger distances (Eaton Square for example), Google Earth measurements were used. In many instances dimensions were cross checked by pacing – ratios work either method. Unfortunately, about one third of the square presentations lack vertical height dimensions due to constraints of time. Height is the most difficult component since some squares have varying story heights as well as an attic level that is not apparent up close to a facade, but clearly visible from a distance. In these instances, judgment was necessary, and in the attic cases cases two heights were recorded: an A height representing the top of the primary cornice line and a B height at the top of the attic. All of the material on this site which is not from other sources is under copyright protection and may not be used without permission.